Many people do not like eating fruits and vegetables on a regular bases. For people like this, the benefits of juicing are countless. They are not only able to get all the nutrition needed for a healthy body but they can also enjoy these benefits without having to eat the vegetables or fruits. According to most doctors, juicing is a better option for a number of reasons; firstly, the stomach does not have to work on the digestion of all those fibers and therefore it can be given a little rest. Secondly, nutrition is absorbed directly by the body, so juicing can be seen as a means of instant energy in most of the cases. Juicing is said to provide protection against diseases by improving your body’s immunity, boosting the blood flow in your veins and developing a better heart rate. In addition to this, juicing provides protection against cancer and liver related diseases by flushing out all the harmful toxins from your body. The nutritional benefits of juicing can be determined from the fact that if you have a glass of juice every day, you will not need any type of multi vitamin tablets or pills to keep you going. However, it has never been scientifically proven that the benefits of juicing are greater than that of having whole fruits or vegetables. In some cases, it is important to have the fiber present in the pulp of the fruits and vegetables since it help prevent constipation. 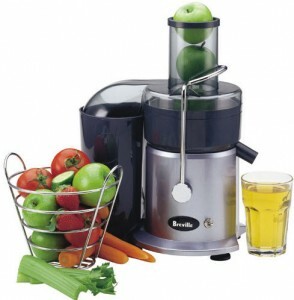 Therefore, the best thing would be to have a combination of juices and whole fruits and vegetables. Another very important thing is that the juice you have should be fresh i.e. you should only squeeze as much juice as you want to have. This is because juices are a flaming home for bacteria growth, so if you squeeze a glass of juice and leave it out in the open for some time, chances are that its nutritional benefits will reduce to more than one half. It is usually advised that you mix fruits and vegetable juices together; for example, juice a couple of carrots and apples and have them together. This can balance the nutritional effects of the juice and can make it healthier for you. Also, try to keep some of the pulp inside, so that your intake of fiber is not reduced. Especially in the case of oranges or other citrus fruits, pulp also adds taste to the juice along with increasing the benefits derived from it. While buying commercial juices, go for those that are pasteurized since they have minimal added preservative and have higher nutritional value. The regular boxed juices on the other hand have lesser quantities of vitamins and minerals and so you cannot get the exact benefits of juicing from them. Therefore, add a glass or two of juice in your daily routine so that you can improve your health through natural means instead of relying on artificial means like pills and tablets. Also, experiment with your juices, so that you do not get bored with your diet, mix, match new flavors, and see their results.